Secondary lung cancer. 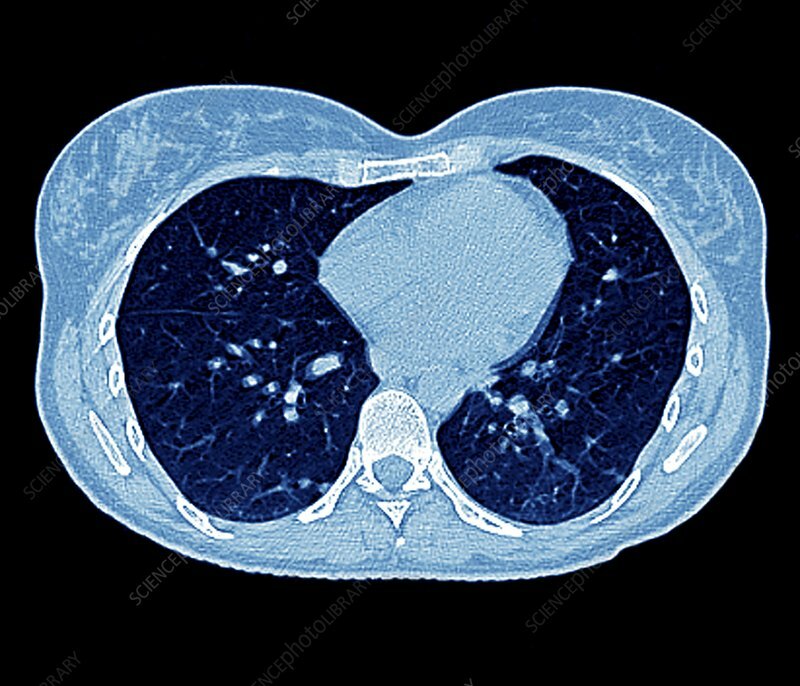 Coloured computed tomography (CT) scan of the abdomen of a 43-year- old woman with tumours (white areas) in the lungs (dark blue). This is secondary lung cancer, where the cancer has metastasised (spread) from the primary site, which was a thyroid cancer. The prognosis of secondary cancer is poor. Treatment is with radiotherapy and chemotherapy.